Kaduna: 55 Dead After Market Clash. Christians and Muslims clash: Fifty-five dead after market row in Kaduna. Fifty-five people were killed this week in clashes between young Christians and Muslims in northern Nigeria following a dispute in a market, President Muhammadu Buhari said on Saturday. Shiites in violent clash with Police in Kaduna as Police arrest 9 members of the Islamic group Sources told AFP fighting broke out between Hausa Muslim and Adara Christian youths in the town of Kasuwan Magani’s market following a dispute among wheelbarrow porters. Two people were said to have been killed in the market fracas on Thursday. The violence was temporarily halted by police but Adara youth later mobilised and attacked Hausa residents, burning homes, the sources added. “Most of the killings were done in the second attack which took the Hausa community off guard,” said Muhammadu Bala, a Kasuwar Magani resident who lost his home. 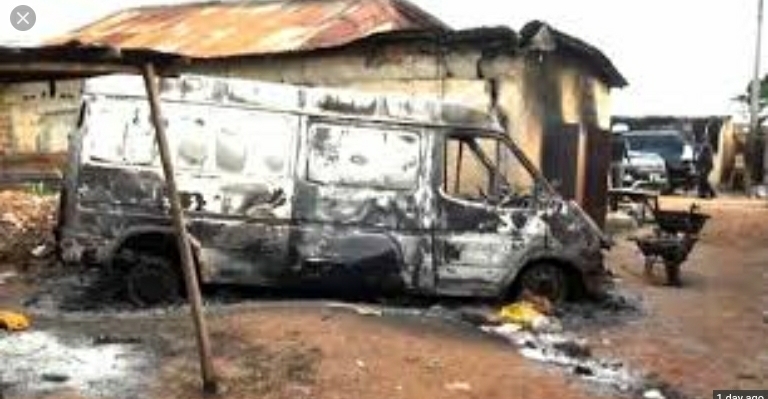 In a statement the presidency said: “President Muhammadu Buhari has condemned the latest communal violence in Kasuwan Magani in Kaduna State which claimed 55 lives.” The violence followed a dispute in a market on Thursday, the presidency added. The president expressed concern that Nigerians were too frequently resorting to violence over misunderstandings that could be resolved peacefully. “No culture and religion supports the disregard for the sanctity of life,” he said, adding that “peaceful coexistence is necessary for the progress of any society and its wellbeing”. He said that without harmony between communities an environment conducive to “our everyday businesses would be impossible to achieve”. “Violence cannot be an alternative to peace. On the contrary, reliance on violence leads to ultimate self-destruction. Violence is an ill wind that blows nobody any good. Embracing peace is a necessity,” he said. He appealed to community leaders to take part in regular dialogue to prevent misunderstandings and foster a spirit of tolerance and patience. Kaduna state police commissioner Ahmad Abdur-Rahman told reporters on Friday 22 people had been arrested in connection with the violence. The Kaduna state government also imposed a round-the-clock curfew in Kasuwan Magani on Friday. A similar crisis in February left at least 10 people dead and hundreds of homes and businesses burnt. Over 60 people are facing charges over the February violence. Next Nnamdi Kanu and IPOB Members Should Follow Ojukwu’s Ideology.